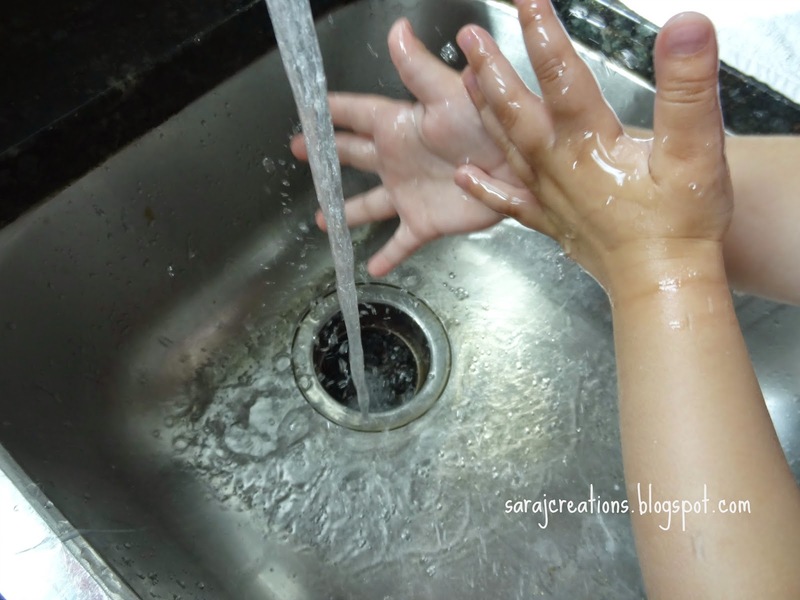 At the beginning of each school year, as I'm going over rules and procedures, I like to talk about germs and expectations for washing hands. I was fortunate to have a bathroom and sink in my classroom in both schools where I worked. It was great because it cut out a lot of time and hall wandering. I liked to read this book about germs and talk about spreading germs and the best way to keep our classroom clean. This would also be good at the beginning of flu season. I found that if I did it at the beginning of the year, it set the expectation. Germs is a funny book about a germ that goes to germ academy to learn how to infect people. He struggles with the idea of making children sick. He is sent on his first mission, to infect a little girl. He is met by her immune system and ends up helping them to fight off the other bad germs that are coming. Obviously, it is a fiction story but it makes for a good conversation about spreading germs. 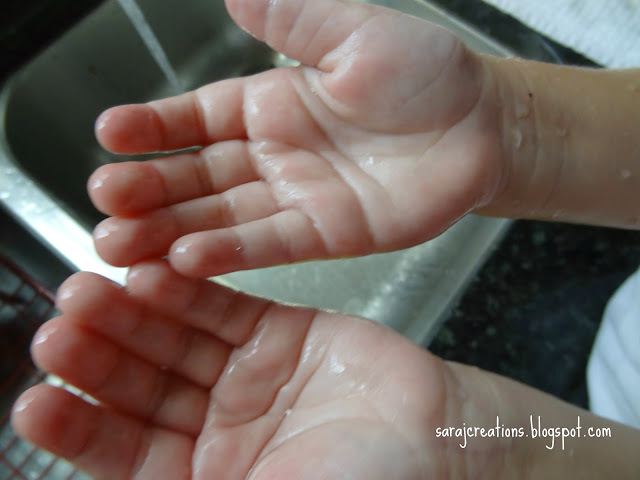 After we read the book, we do a little activity to show the importance of washing hands with soap. I get out glitter. Yes I said it. Glitter. I know. I know. I hate glitter in the classroom too. Especially a classroom with carpet. But this is the one time I use it each year. 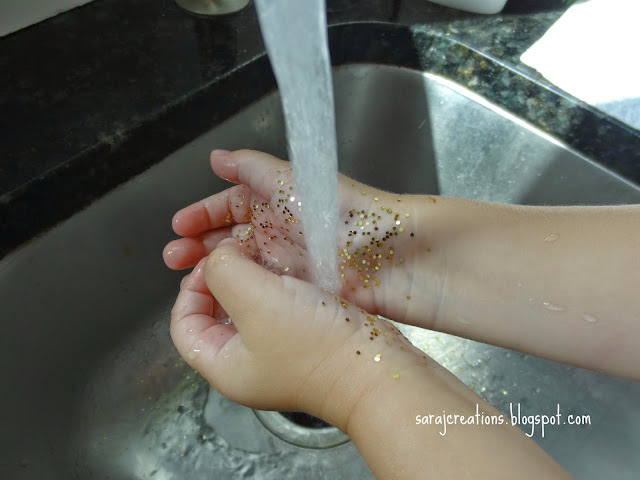 If they just run their hands under water, all of the glitter doesn't come off. 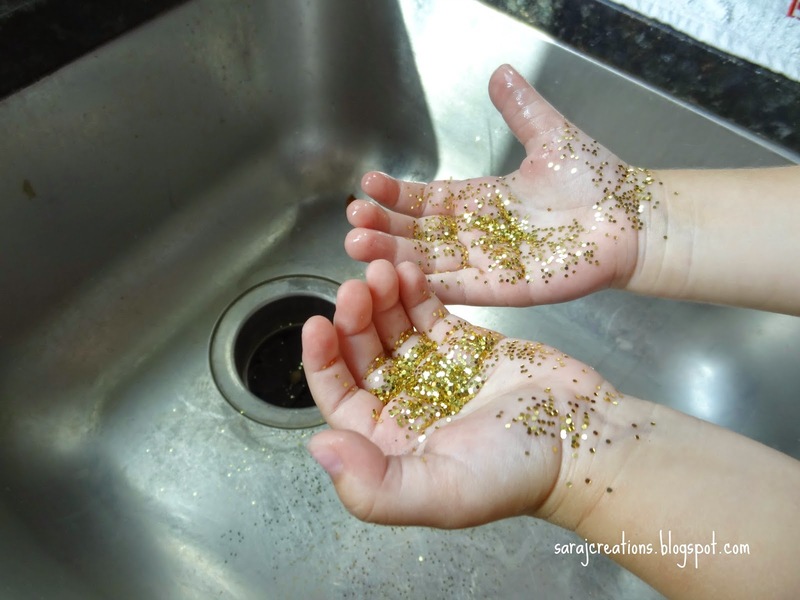 If they use soap, the glitter comes off. 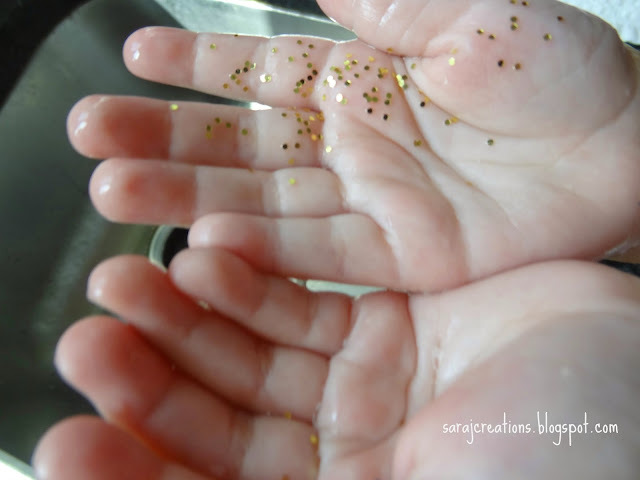 So one by one, I pour glitter on their hands and let them wash. With a class of 28 this takes awhile because we are fresh off the germ talk so they are making sure they are washing the appropriate length of time. It usually ends with water on the floor and soap bubbles coming up the drinking fountain side but its all good! It gets the point across and at least for a few days, the kids are worried about spreading germs! Here is a FREEBIE to help students review what they can do to help get rid of germs in the classroom. It is funny that I am so much more relaxed about germs as a mom. I know they are good for my girls and helping to build their immune systems. Now I don't want their friends sharing a sippy cup with them but I'm all about sharing toys and getting dirty. 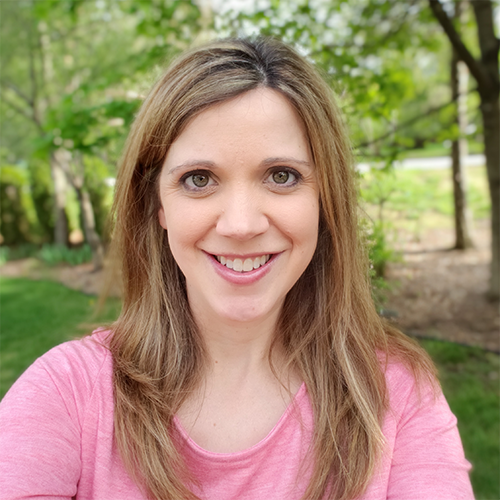 It was so different in the classroom - I felt like it was a breeding ground for germs and we were all just waiting to get sick! This book definitely helps start the conversation about germs and being clean in the classroom. 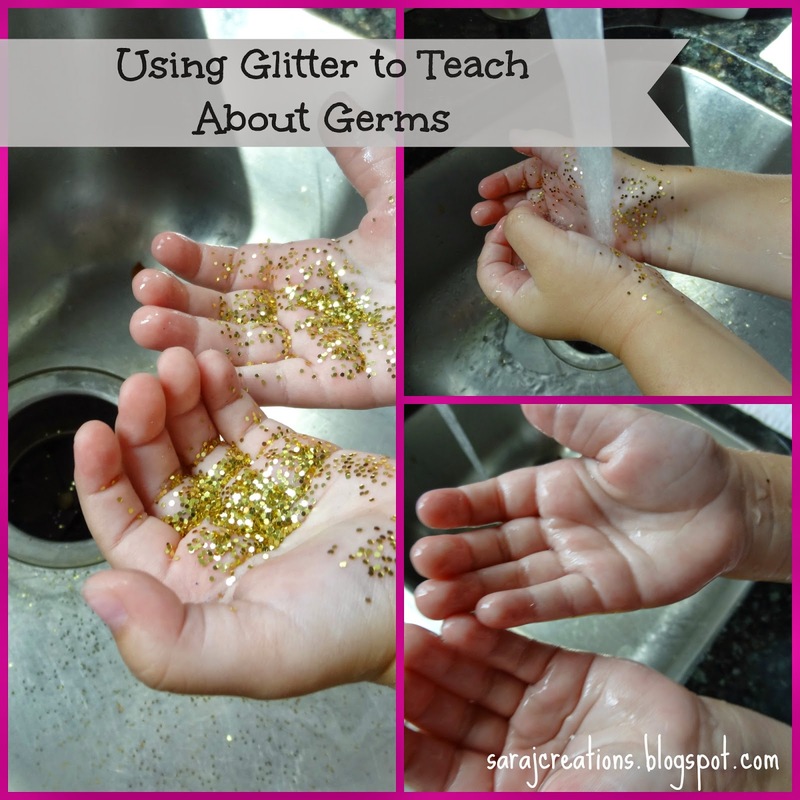 The germ glitter activity is a fantastic idea -- thank you. I plan to use it in a pre-school classroom. Thank you so much. I'm glad you liked the idea. I hope it went well in pre-school!